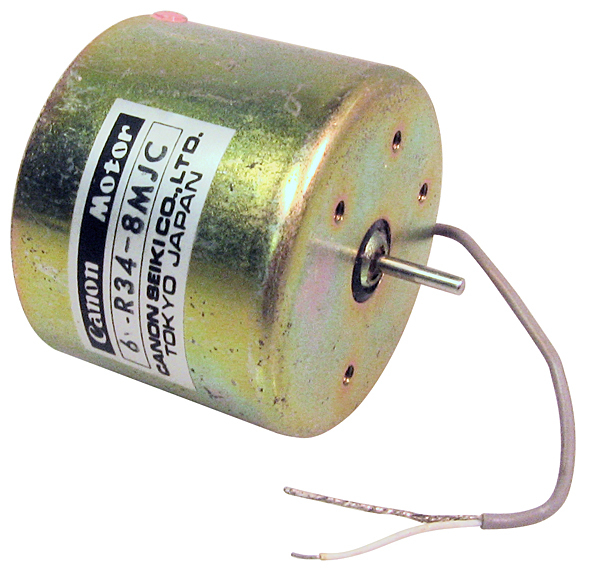 Canon DC motor made for Canon printers. 18 - 24v DC. 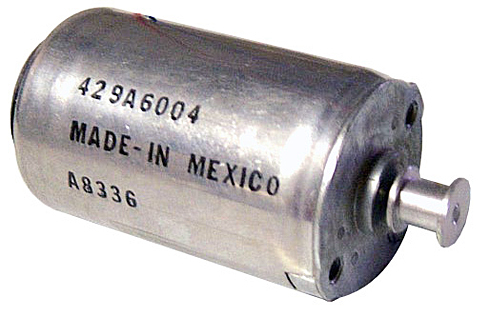 1.61"D x 1.35"H body. 0.178" (2mm) shaft, 9mm long. Four threaded mounting holes on face. Made in Japan. NOTE: This lot has several equivalents, we may substitute a different model number but it will be the same motor as pictured. 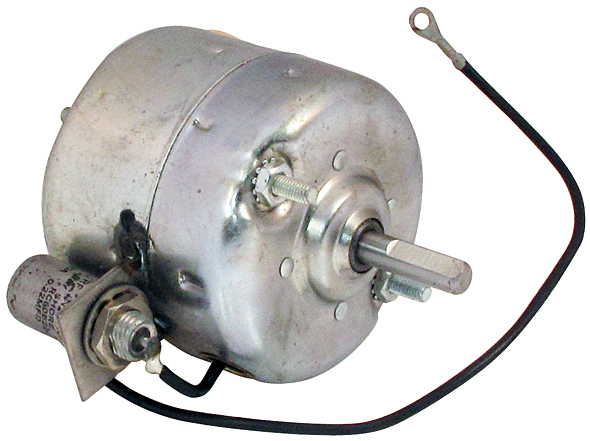 Oster DC motor. 26v DC, 14,000 rpm, 1/2 oz. in. 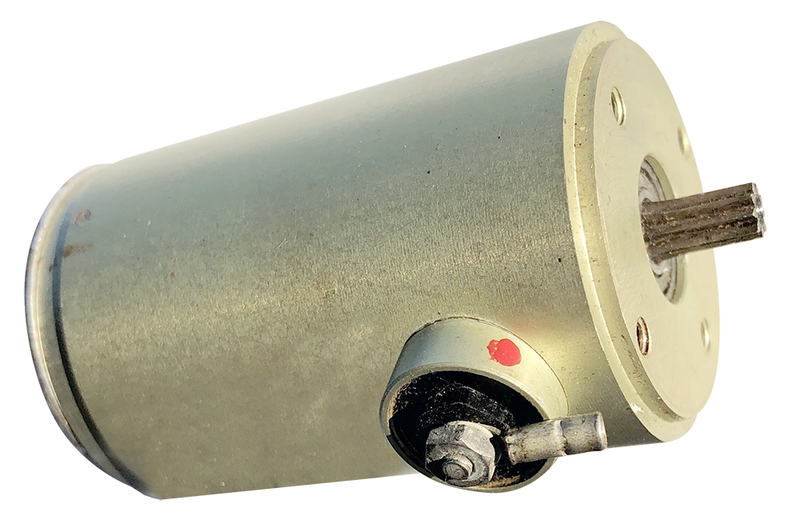 Body Dimensions: 1-1/8" diameter x 2-1/4"
TRW Globe Motors DC permanent magnet motor with tachogenerator. 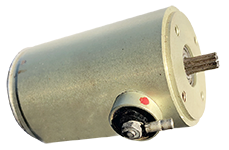 Generator output approximately follows supply voltage at any particular rpm. Made for use in commercial 8-track tape players. Mounts at front tapped holes on 1" center. • Shaft Dimensions: 0.098" dia. x 3/8"L. Pulley pressed on (fits 1/4" wide belt). 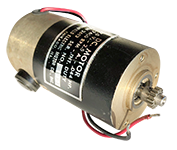 Johnson DC motor. 24v DC, 60 ma (no load). 18mm (0.709") x 23.3mm (0.923"), 1.344" overall length. 2mm (0.775") x 9mm (0.368") round fluted shaft. 2 mounting holes on face, 15.5mm c-c. External access to brushes. 30,000+ pcs available! Back in stock! 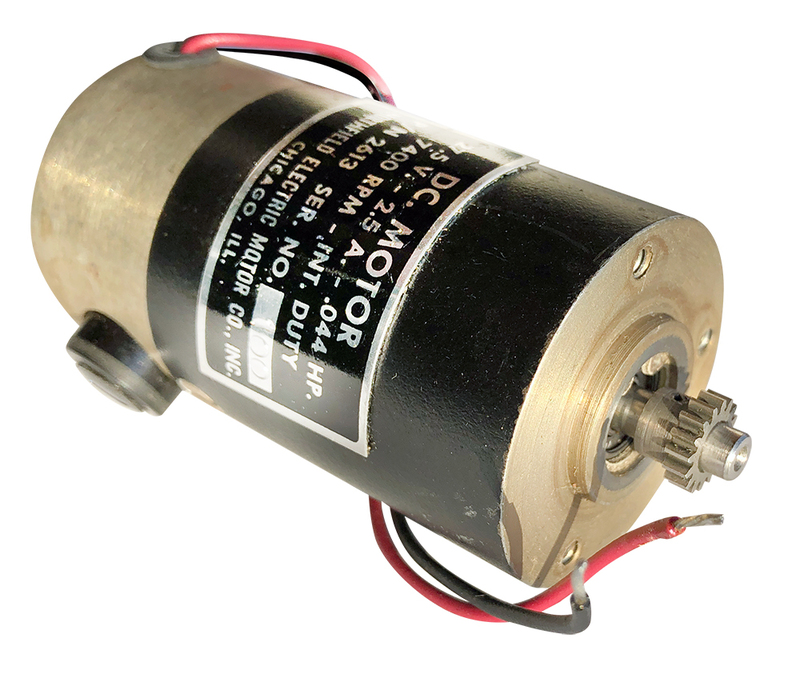 DC motor. 12 - 24v DC. 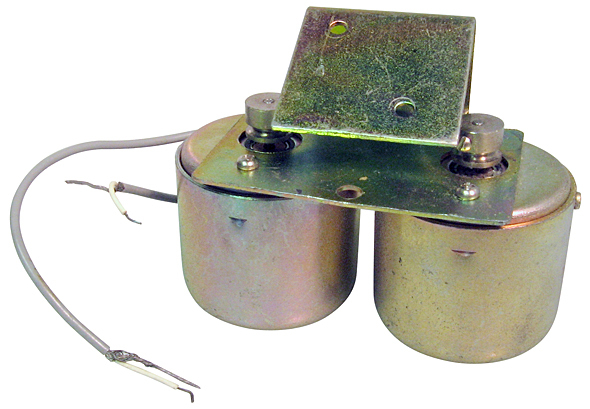 Includes RF Interonics Bay Shore capacitor, 0.22 µF, 100v. 3" diameter body x 3.15" (+ shafts). 5/16" diameter "D" thru-shaft x 5/8" x 1". NSN: 6105-01-127-5200. NOTE: May be marked: B54735-G1. 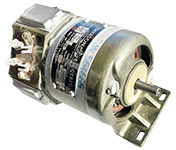 Dunkermotoren governor controlled permanent magnet DC motor. No load current. • Stall torque: 5 oz.-in. • Speed without governor: 20,000 rpm at 350 ma. 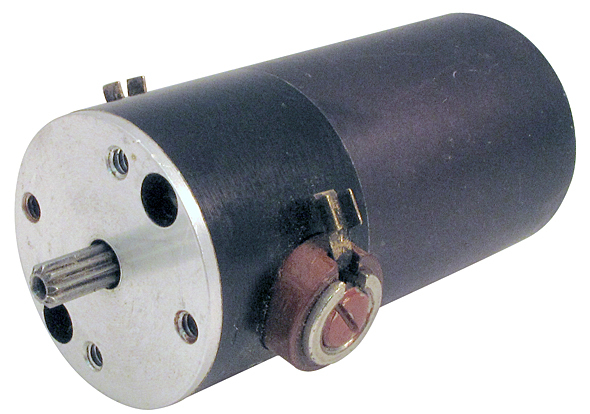 Yale dual DC motor. 18 - 24v DC. Made for 1970s tape decks. Belt pulley with set screw on 2mm shaft. 1-1/2"D x 1-3/8". 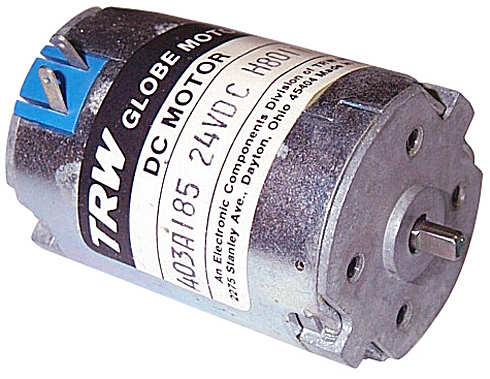 TRW Globe Motors DC motor. 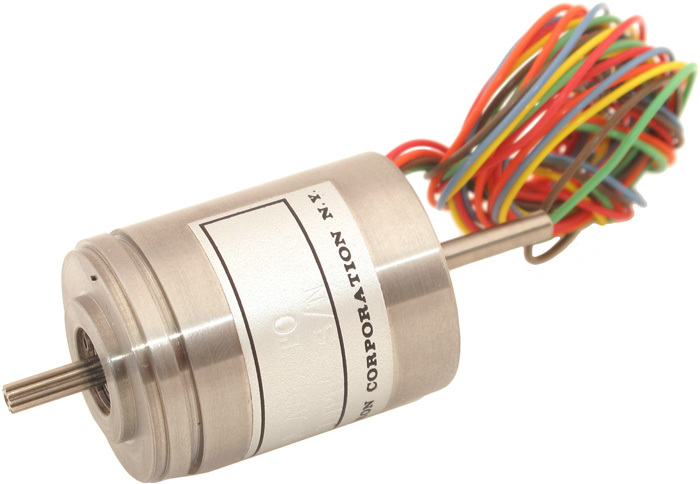 • Rating: 24v DC, 165 ma., 5500 rpm, no load. • Stall Torque: 15 oz.-in at 3 amps. • Torque Constant: 5.5 oz.-in. / amp. 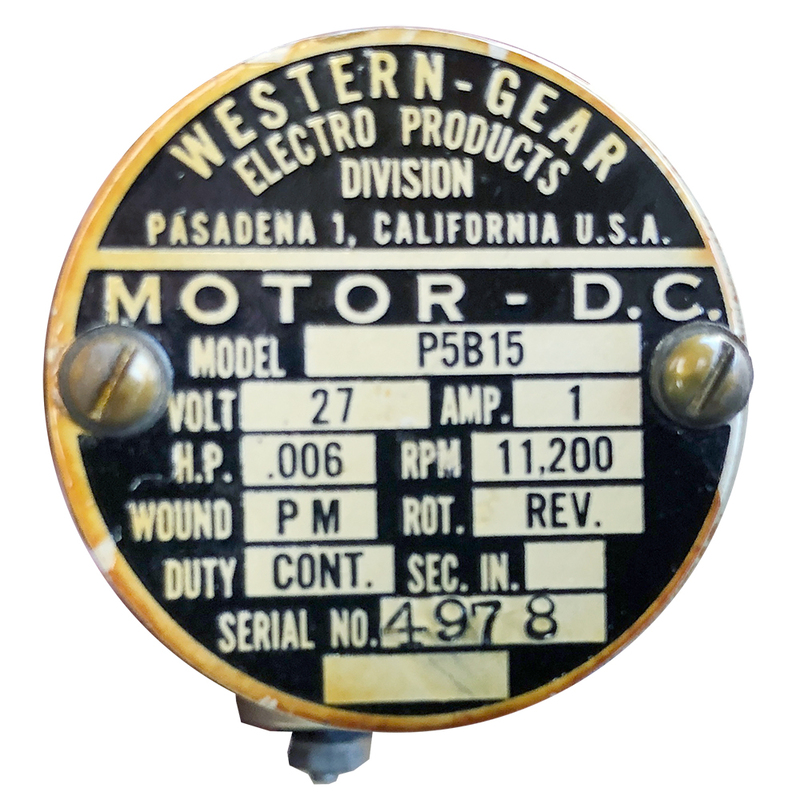 Western Gear DC motor. Reversible. 27v DC, 0.006 HP, 11,200 rpm. 1.25"D x 1.93"L body. 0.164" x 0.265" spline shaft. 0.626" mounting centers, (4) 4-40 threads. 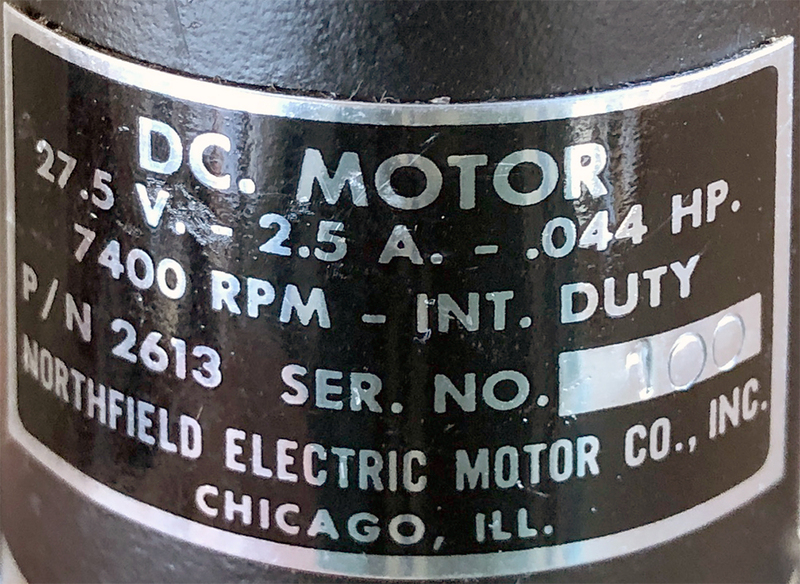 A-OK.
Northfield Electric Motor Co. DC motor. 27.5v, 2.5 amp, 0.044 HP, 7400 rpm. Int. duty. 1.5"D x 2.67"L. 0.370"D gear with 16 teeth. 0.85" x 1.056" mounting centers on 3 threaded holes. NSN: 6105-635-9503. Motordyne, Inc. DC motor with dual front/rear shafts. 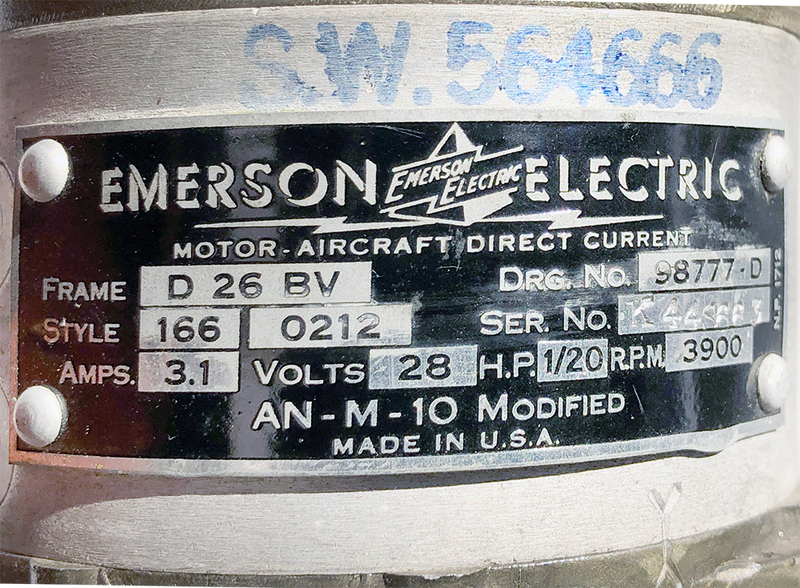 Emerson ART-13 motor aircraft direct current. 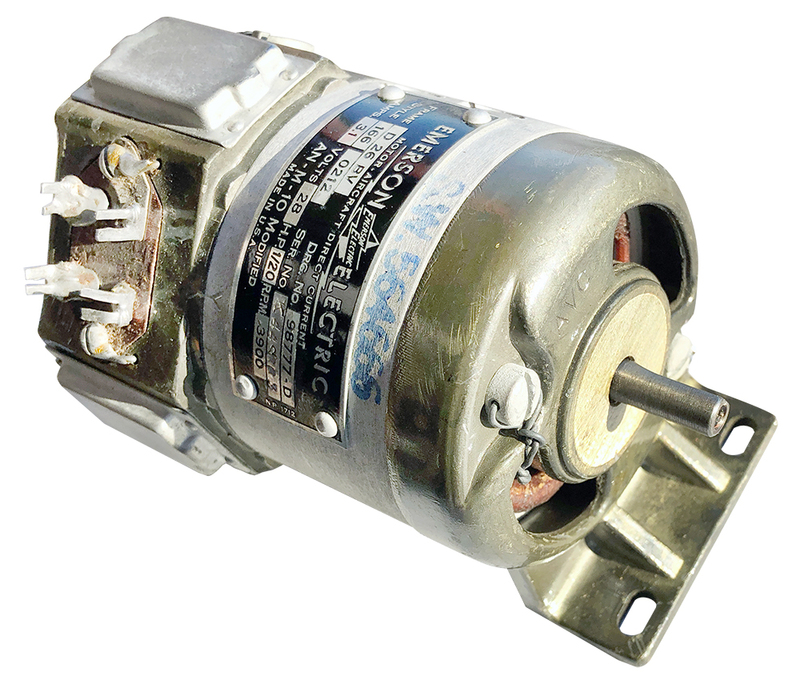 28v DC, 3.1 amp, 120 HP, 3900 rpm. Made for AN/ART-13. 2-1/2"D x 4-3/8"L frame. 1/4" D shaft, 0.58"L. 1-1/2" x 4" mounting centers. Circa 1950's. Boxed. Good condition. 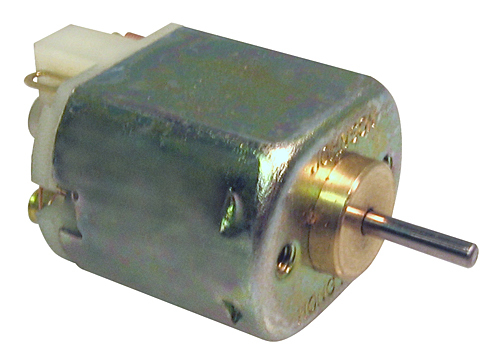 Vernitron DC motor. Dual through shaft. Alt. P/N: 11MRA-AD3-TO.